Up To $123.00 per Customer, $750 Cash Prizes! Mid Week Contests Too! HERE'S WHY YOUR SUBSCRIBERS WILL BE TOTALLY HOOKED ON OUR PLR COURSE, "GRAPHIC DESIGN ACADEMY V3"
It's another blockbuster by Sorin and Shelley, on a topic so hot, it can't help but sell! It's a training that shows, over the shoulder style, how to CREATE AND EDIT GRAPHICS USING FREE SOFTWARE AVAILABLE ONLINE! And includes personal use or PLR options! Our first course outlined how to use the FREE online app called Canva! This time we instruct on how to use DesignBold... Also free! The PLR materials come with a sales and thank you page, professional graphics, video, audio and trascripted pdf lessons! How often do you get a course that is already proven to sell! And why not? This is a pretty hot topic, and there's not really much in the way of graphic design training! You're going to make a killing with this! If you need bonuses, please contact Shelley or Sorin. We've decided not to make an affiliate bonus page. We feel the product is tremendous value, and doesn't need any augmentation from us! HOWEVER, we do encourage you to put together your own bonuses if you think your list will respond better. 1. *HOT! * Private Label Rights to proven Graphic Design Course! 2. *NEW PLR- A newbie Graphic Design Course You Can Claim As Your Own! 3. You're going to cash in reselling this course! 5. New High Quality PLR plus funnel! 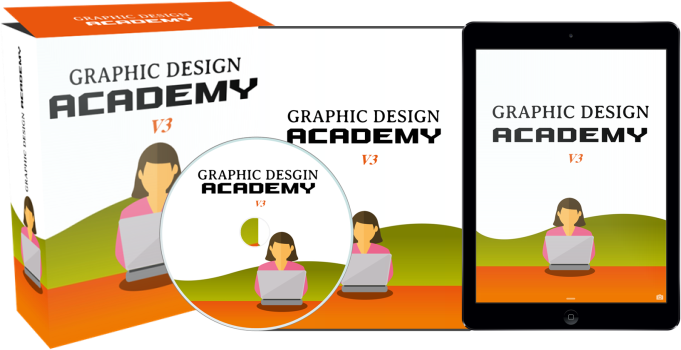 This course, called "Graphic Design Academy", was actually developed for customers, not resellers. Not only that, but it was tested and tweaked until it was the perfect resource for teaching DIY graphics editing. It's been developed for anyone who wants to edit their own images, without forking over cash for expensive design software! That's right, NO NEED to buy anything else to learn easy graphic design, because we demonstrate techniques on 100% free software called DesignBold. We actually KNOW that people want to LEARN this content! It's been tested it with real students, All of the kinks have been ironed out. The course is delivered by an experienced course creator, but it's completely generic, so you can add your branding and sell it as your own. Earning money online will never get easier than this! Grab this proven course, with PLR rights, at the launch price. 1. Learn and Earn Graphic Design on Free software! 3. Who Wants To Learn How To Edit Their Own Graphics? Everyone! The Graphic Design business is as huge as it is intimidating! And statistics show that 50% of business owners do some or all of their design or hire in house. I bet that number is closer to 100% for Internet marketers. Just about everyone I know does at least some of their own graphics and wishes they knew more! 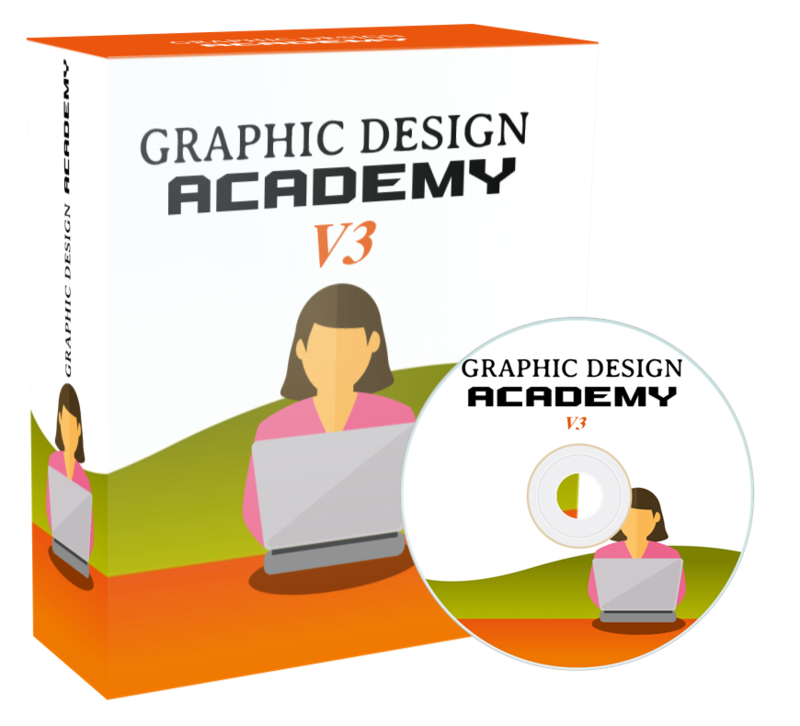 It's called Graphic Design Academy V3 and it's a complete course on how to design and edit graphics using FREE online graphics software! That's right! Once you've gone through the course yourself, you can turn around and SELL it! It comes with generous PLR rights so you can edit, rebrand.... and resell for profit! And here's a true fact about one of the vendors. 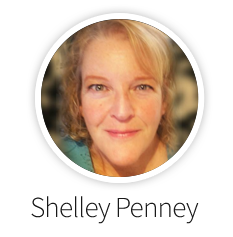 Shelley, who has earned 6 figures in the "Graphics for Internet Marketers" business is not actually a graphics designer like many think. In fact, she laughingly claims she can't even draw a straight line! She learned ALL of her graphics skills in the last few years using free software. 1. This Successful Graphics Course YOURS with PLR! 3. The Perfect Business - done for you. 3. The Easiest Sale I Ever Made! 4. Who would want THAT?! Wow - Wait 'til you see this new PLR eCourset! It's a perfect union across multiple niches giving maximum exposure and conversions. new professional online course, that teaches you and your customers how to create and edit graphics with a FREE online editor! This is not your run of the mill course, written for PLR. 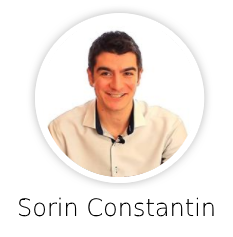 This is a PROFESSIONAL AND PROVEN course that has already been tested in the market, and attracted a couple thousand customers or more! Most PLR courses are written with the reseller in mind. Graphic Design Academy course was created with the student in mind. We know it's good. We know people will pay money for them! Who's going to love this? A better question is... who won't! This topic has it all... PLR resellers will love it of course, but if you have lists that buy graphics, videos, video software, social media marketing materials, offline customers, or DIY - or people who want to have great bonuses, or people who love to learn new things, or people who want to start their own online classroom.... in other words... no matter WHAT your business is- this will be perfect for you!